Haha, the little boy is saying what we’re all thinking! 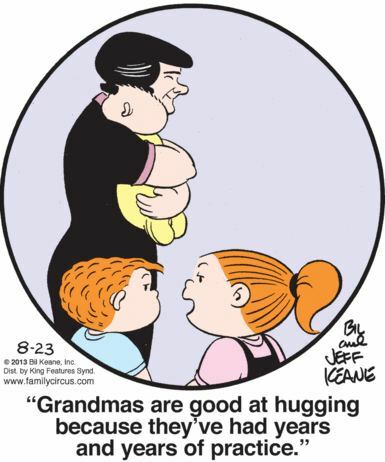 Remember, old people aren’t better at hugging because their age and wisdom have opened their hearts more fully to the possibility of loving other human beings without judgement or fear. They’ve just done it more than you have! Have you ever been hugged by a child? It was awful, right? They’re terrible at it. They need more practice.